Everything can be connected to an iPod these days – not only you have voice recorders, FM tuners and speakers that come with special connectors for an iPod, but now you have a new Viewsonic projector that is iPod-ready as well. 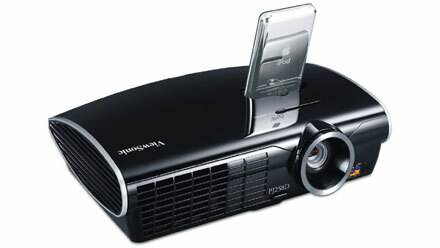 Aimed at teens and young adults, the Viewsonic PJ258D projector comes with a built-in docking station for an iPod, which will allow you to play music and movies directly to the projector without having to use a computer. 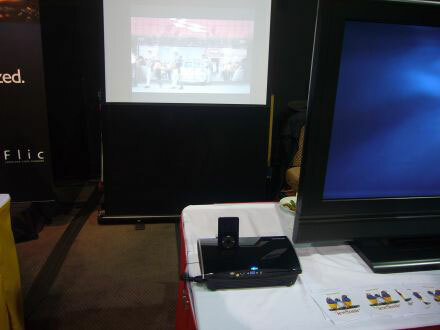 The projector also supports other popular digital media through its multiple connectivity options, including S-Video and VGA, which enable users to quickly connect to PCs, DVD players and video game consoles. Other than that, this 1.8kg DLP projector is pretty standard in term of features – 1,024 x 768 pixel resolutions, a brightness of 2,000 lumens and a 2000:1 contrast ratio. It work well and deliver bright, crisp pictures and video playback in any setting. The PJ258D will be available in Q1 and the estimated street price is of $999.